Flowers and colors may vary. due to availability. 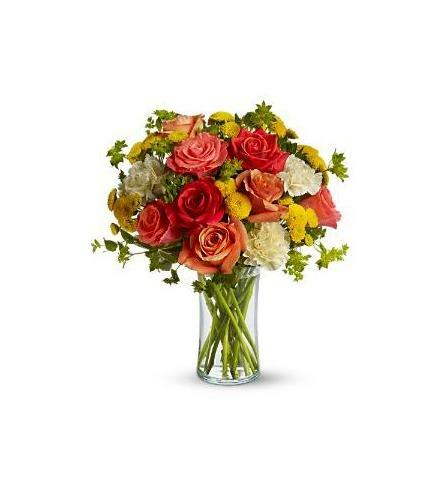 Orange and coral roses, carnations, button spray chrysanthemums and greens fill a glass gathering vase. It's a kiss of summer!. Citrus Kissed Roses Vased.